Our window and door installation and repair services are provided to both the housing and non-housing sectors, encompassing large scale and one off replacement projects for PVCu, aluminium, timber window and door replacements, skylights or new curtain walling systems. 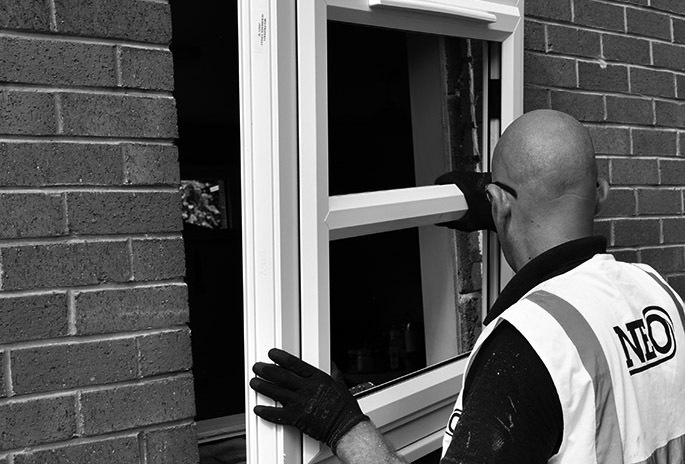 Our directly employed installers each hold the relevant qualifications, ensuring safe defect-free installations adherent to nationally recognised standards. Our expert teams are required to frequently overcome many logistical and technical challenges, including 24/7 support to buildings of strategic importance, historical, architectural, cultural interest and public amenity.